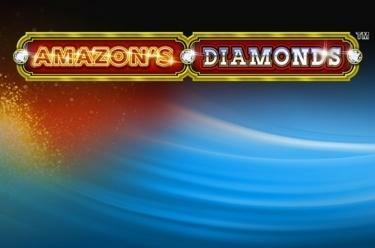 Play Amazon's Diamonds™ online for free now! Do you like strong women who know what they want? Then Amazonʼs Diamonds™ is perfect for you! 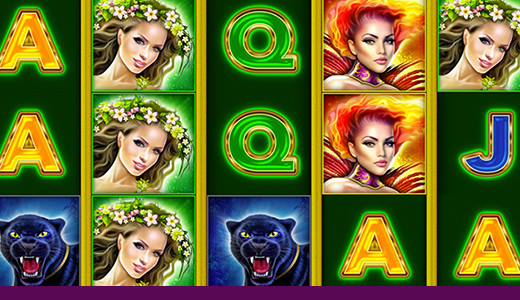 Four wild panthers that only obey their owners as well as four beautiful and pugnacious ladies await you in this slot. Muster your courage and face them - it will be worth your while: If you gain the four feisty ladies' favour you can line your pockets with diamonds from their treasure chambers! Your aim in the realm of the Amazons is to line up 5 matching symbols along one of the up to 30 win lines that run from left to right. The diamond can act as a substitute for all symbols in the game except Scatter and therefore increase your chances of winning. If the Red Ball (Scatter) appears 7 to 9 times on reels 2, 3 or 4, 8 to 30 free games are triggered. The Diamond as well as the Ball symbol are stacked on the reels. If you land 7 to 9 Red Balls (Scatter) on the middle reels (reel 2, 3 and 4), you receive 8 to 30 free games with the settings of the basic game (bet amounts and number of lines are taken over). Additional free games cannot be won during free games.